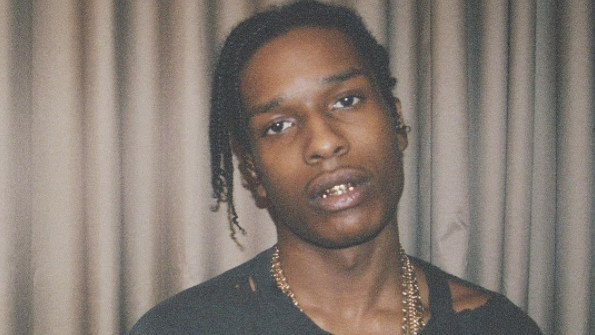 As previously speculated, A$AP Rocky has officially inked a new deal with Under Armour. However, according to a statement from the athletic brand, the venture is being considered as more of a "strategic partnership" than just a standard endorsement deal. As reported, Rocky and UA will be joining forces to collaborate on new sportswear and sneakers--as fans have been hoping--but will also be taking their partnership one step further by way of building new community centers in underprivileged areas. According to the athleisure brand, a "shared desire to positively impact the lives of youths in underserved communities" is the common ground between the rapper and UA, with the partnership designed "to build a series of philanthropic community-based programs and to develop new products." Rocky echoed the brand's sentiments, adding, "Under Armour was the company that was most excited about my idea to turn sportswear products on their head while bettering kids' lives." With the A$AP Mob member's undeniable influence and positive intention, this collaboration sounds like it might be one of the most impactful business moves the rapper has made to date. Rumor Report | Stephen Curry isn't helping Under Armour? Rumor Report | What led Stephen Curry to leave Nike for Under Armour?